For the 500th anniversary of the Protestant Reformation, the Congress The Heart of Work (Rome, October 19th-20th, 2017), organized by the School of Theology of the Pontifical University of the Holy Cross and by the Research Centre Markets, Culture and Ethics, has deepened the Christian idea of professional work. The ethical implications of work, business and economy have always been very clear. Nevertheless, the financial crisis that exploded in 2007 – whose effects are still being felt in many countries – have put those implications to the forefront. Beyond the technical limitations of the Western economic system, the crisis also revealed many ethical deficiencies at a macroeconomic, institutional and personal level that have contributed to the origin and expansion of the problem. Therefore, the solutions for the actual situation and the prevention of future ones should not be limited to technical measures. It also needs a rethinking of the role of economy and business in society, in the search of a human economy. Catholic Social Thought offers the key concept of common good as a balance between the different interests of businessmen, managers and workers. A human economy is that which seeks the good not only for one of these groups, but also for anyone of them, that is, for society as a whole. 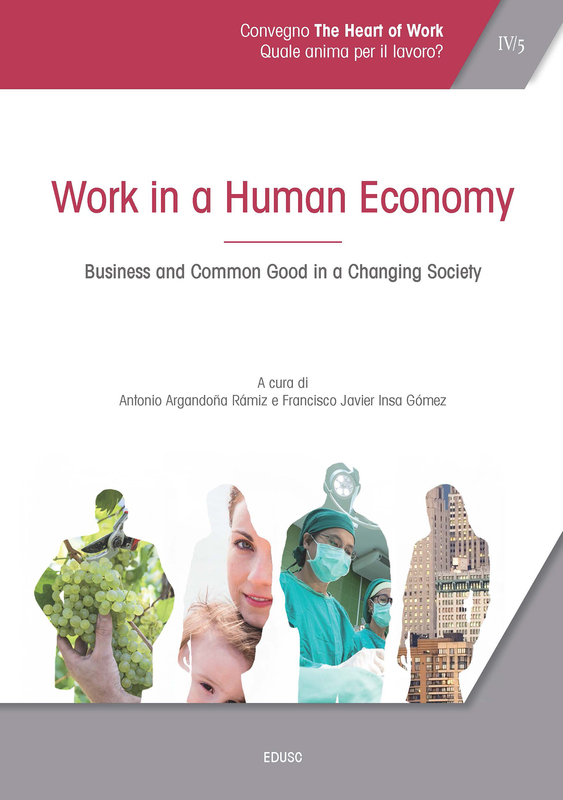 This book offers a multidisciplinary reflection about the integration of work, business and the good of society in general and of the singular workers in particular, paying attention to the changes and challenges of the XXI century.